There is promising news for people affected by the devastating flooding in San Jose earlier this year. 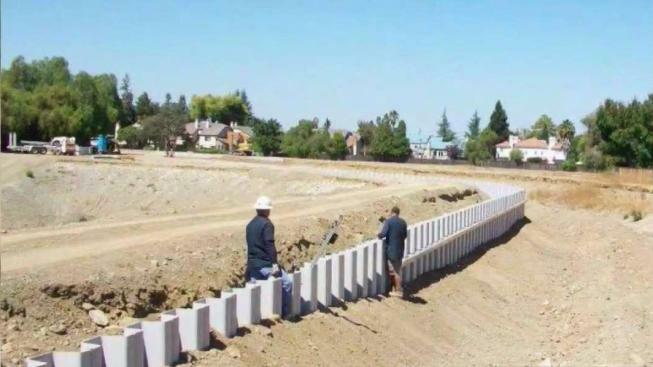 The Santa Clara Valley Water District is considering putting in temporary barriers along Coyote Creek in hopes of preventing another catastrophic flood. And now, construction crews are ready to move in. An Army Corps of engineers toured the Coyote Creek flood zone on Friday to see for themselves why the area needs their help. The agency would approve and help fund a permanent flood control project to prevent another historic flood. "We're doing everything we can from the water district perspective," said John Varela, Santa Clara Valley Water District chairman. Varela said the feds saw images of the flood damage at the Pentagon. Floods in Rocksprings this winter forced victims to be rescued by emergency crews, when the Coyote Creek overflowed its banks. Video of the damage prompted the Army Corps to ask how they can help on permanent flood control measures. The water district board voted to build a barrier along the Coyote Creek in Rocksprings. The hope is to have it complete by the end of December. "It's short term. But nonetheless, we're in the creek and we're doing the work toward a final result," Varela said.